Tarde mágica de D´Sherry Explorers. 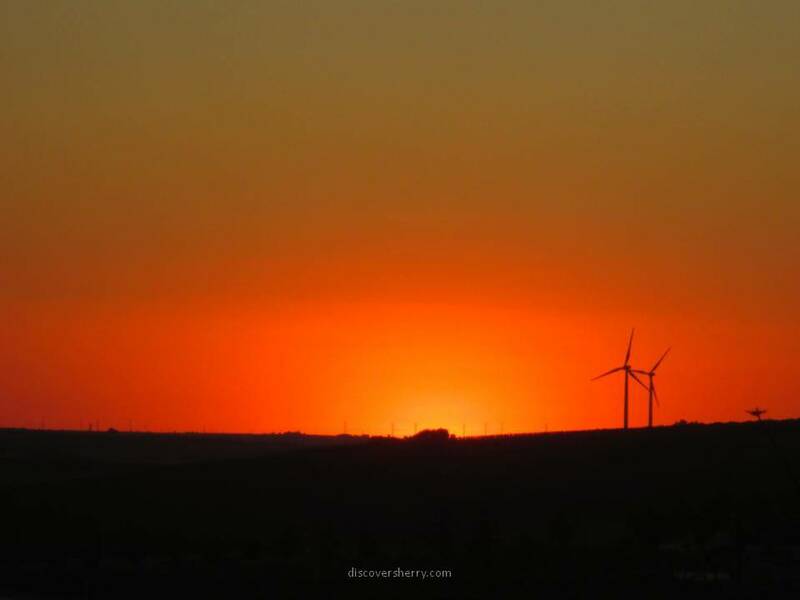 A magical evening for the D´Sherry Explorers. 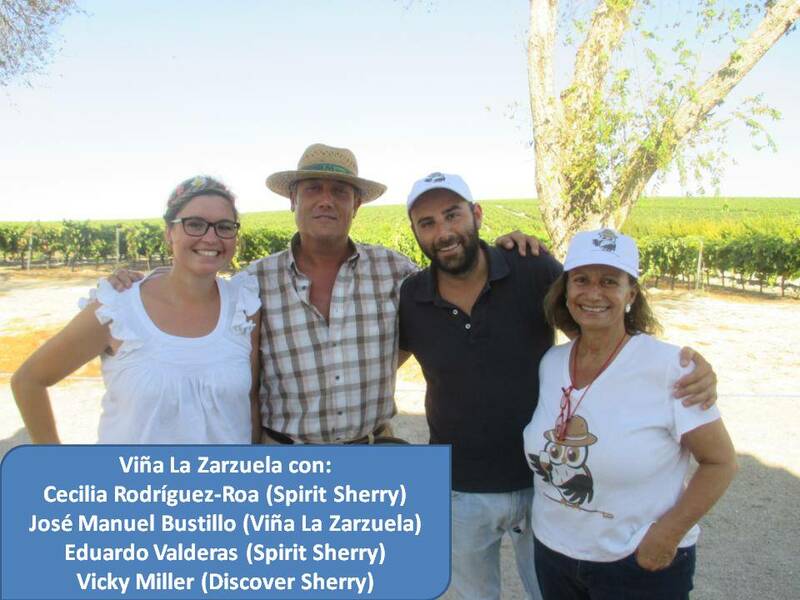 D´ Sherry Explorers visitamos la Viña La Zarzuela de la mano de Spirit Sherry, miembros también de La Ruta del Vino y del Brandy del Marco de Jerez. 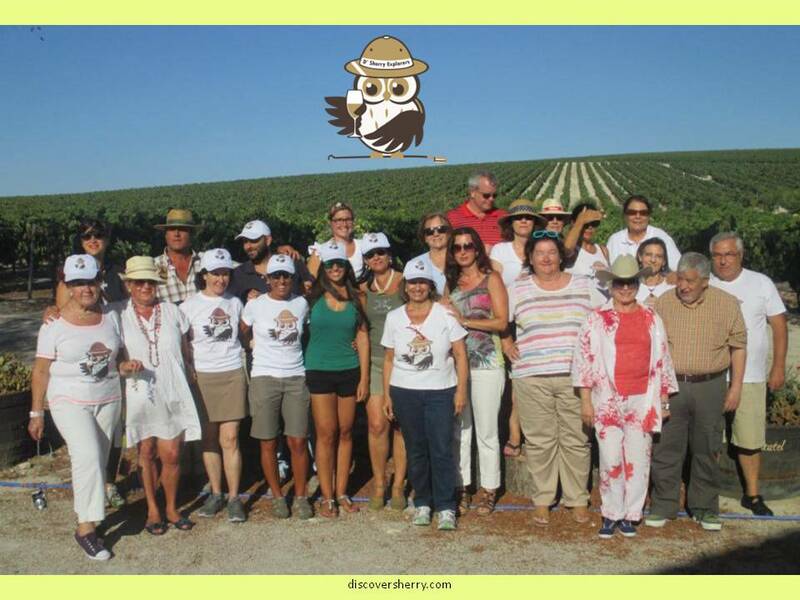 The D´Sherry Explorers visited the La Zarzuela vineyard in a joint effort with Spirit Sherry who are also members of the Wine and Brandy Route of the Sherry-producing Region. Sin duda fue una experiencia preciosa e inolvidable. 28 Sherry Explorers y amigos pasamos una tarde vendimiando, pisando la uva, separando los hollejos y las pepitas y echando el mosto en la bota. 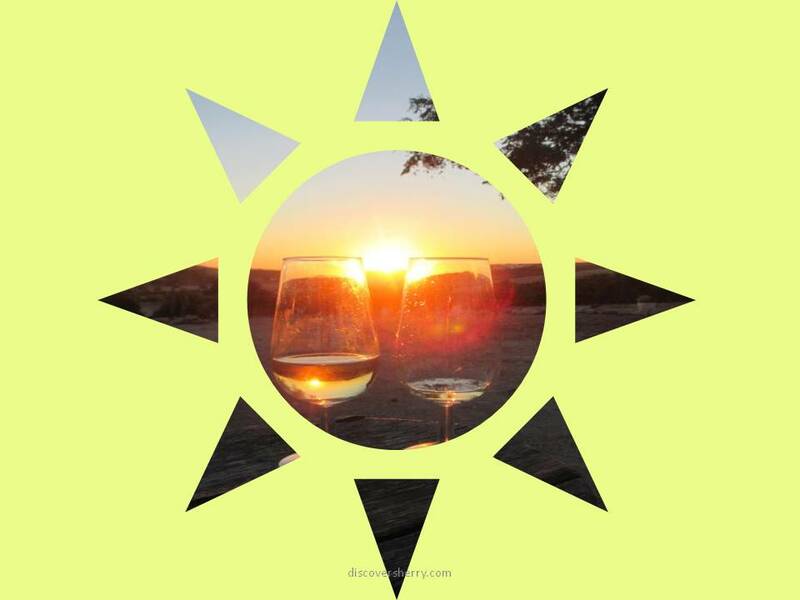 Para los incansables exploradores de nuestros vinos de Jerez el poder cortar la uva con nuestras propias manos y luego pisarla con nuestros propios pies fue una sensación maravillosa. It was, without a doubt, a beautiful and unforgettable experience. 28 Sherry Explorers and friends spent an evening harvesting, stomping grapes, separating the grape skins from the seeds, and pouring the resulting grape-must into the barrel. 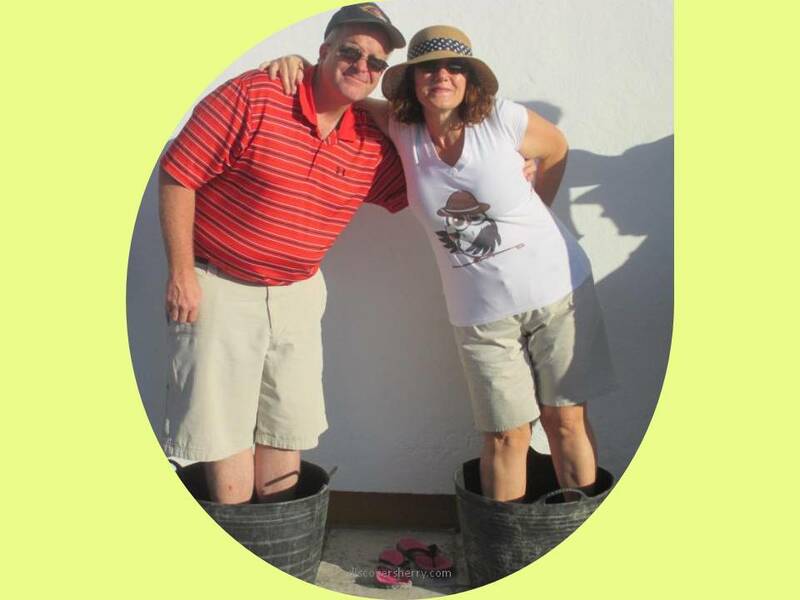 For these tireless explorers of our Sherry Wines, the experience of harvesting the grapes with their own hands, and crushing them with their bare feet, was marvelous for all of their senses. 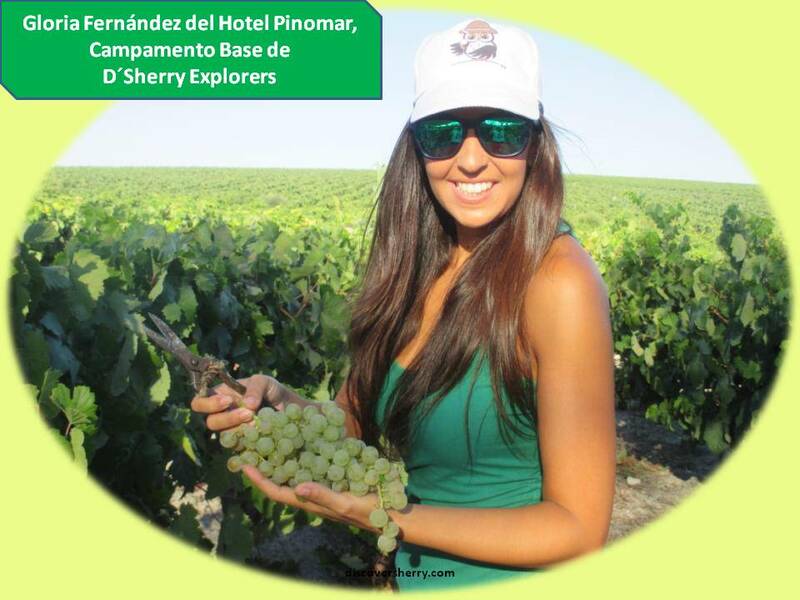 Gloria, nuestra lider del campamento base, con un racimo de uva palomino que se convertirá en un excelente fino. 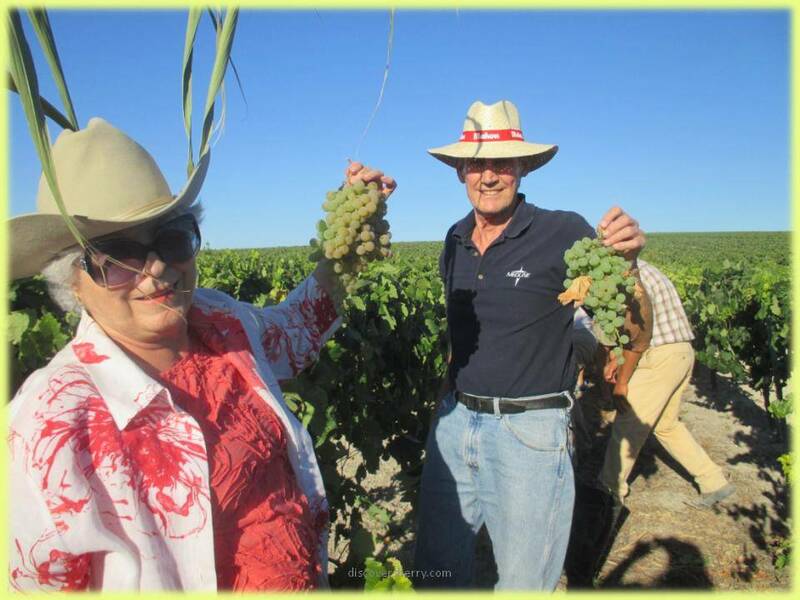 Gloria, our Base-Camp Leader, with a bunch of Palomino grapes which will be transformed into an excellent fino wine. Petra y Nelson de Scottsdale, Arizona tampoco se quisieron perder esta experiencia. Petra and Nelson, of Scottsdale, Arizona, who made it clear that they did not want to miss participating in this experience. Un grupo de Sherry Explorers trabajando duro pisando la uva. Es una sensación maravillosa y además buenísimo para la piel. 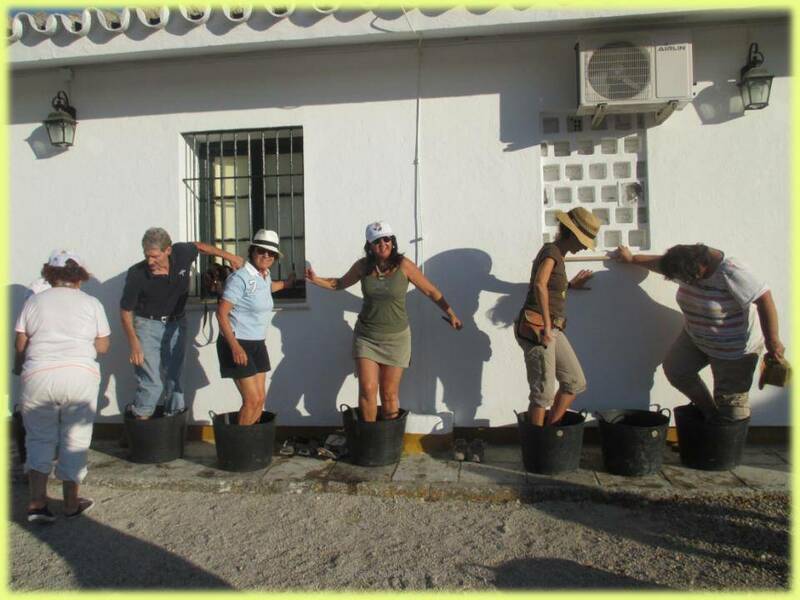 A group of Sherry Explorers working hard at pressing grapes. It was a marvelous sensation, as well as being excellent for our skin. Encarna, madrileña, y Joe de Nebraska, disfrutaron a tope. Encarna, from Madrid and Joe from Nebraska, completely enjoying themselves. Después de la pisa a separar los hollejos y las pepitas del mosto. Carmen y Momoko hicieron un estupendo trabajo. After the pressing (stomping) of the grapes, it was necessary to separate stems and seeds from the grape must (juice). Carmen and Momoko were great at doing that. Eduardo echando el mosto en la bota. Ahora a esperar a que fermente y se convierta en un vino base que tiene un poquito de nosotros. Será interesante y emocionante probarlo allá por San Andrés (30 de noviembre). 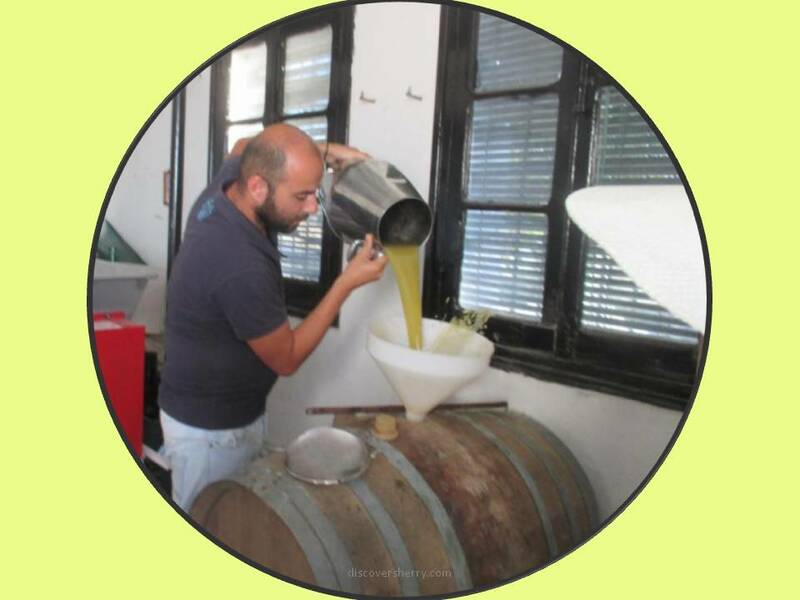 Eduardo pouring the grape must into the barrel. Now, we will wait for the must to ferment and to turn into the base wine that will contain a little bit of our souls and spirits. It will be interesting and exciting to taste it around the feast day of Saint Andrew, on November 30th. 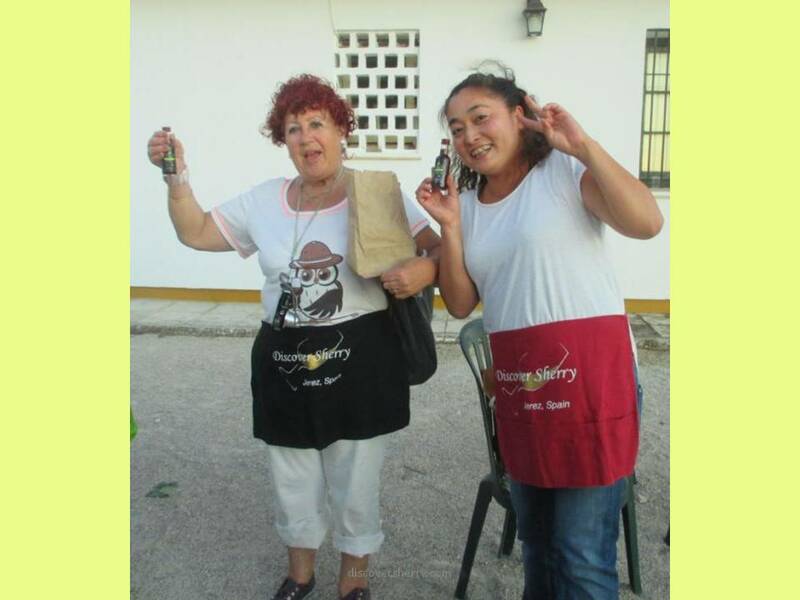 Las dos ganadoras de las tapas, Rosi y Momoko. 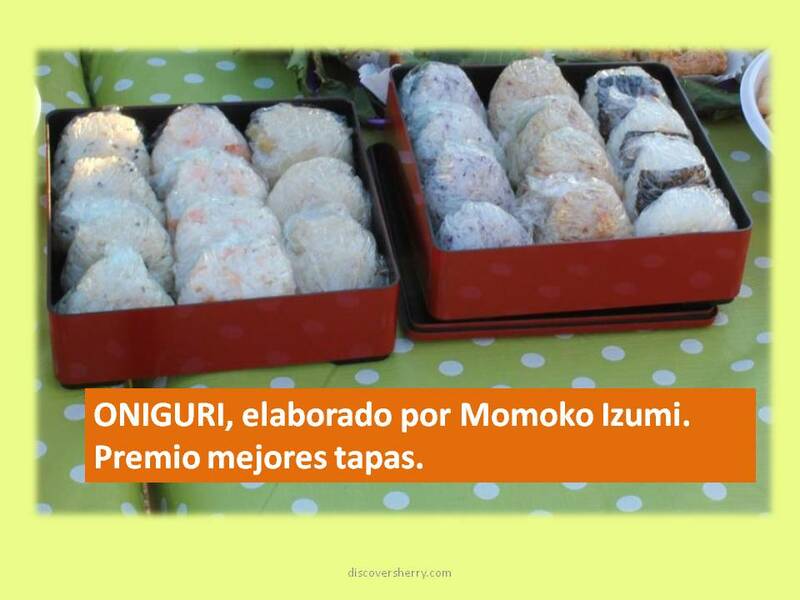 The two winners of the Tapa Judging, Rosi and Momoko. Degustamos fino, oloroso y cream de la Bodega Maestro Sierra, no se podía pedir más. 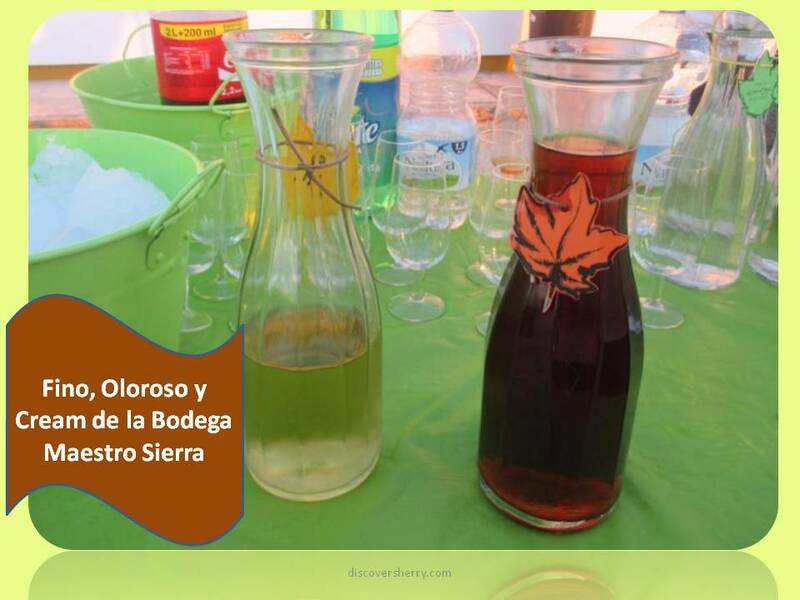 We enjoyed sherry fino, oloroso, and cream wines, from the Maestro Sierra winery. We couldn´t ask for anything better. Cecilia hizo mojitos de oloroso que estaban riquísimos. Pronto pondremos la receta en nuestro blog. 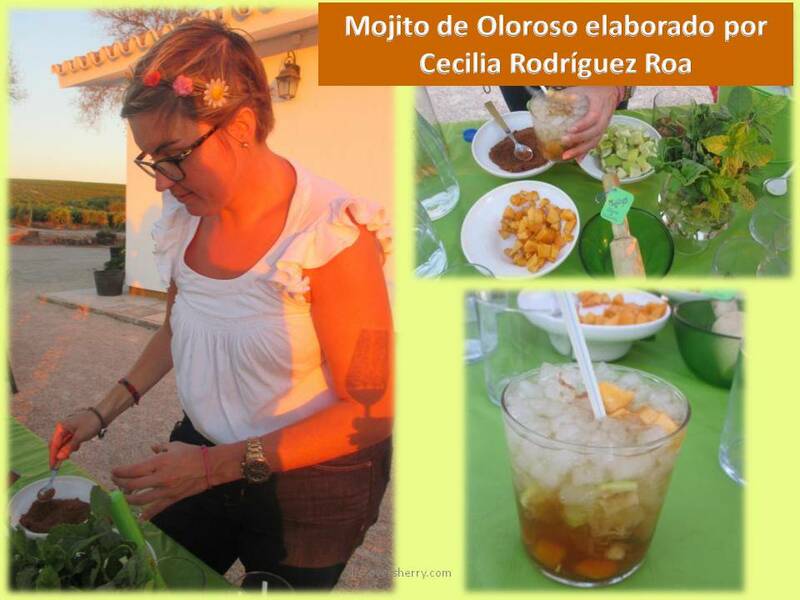 Cecilia made oloroso wine mojitos which were delicious. We will post the recipe on our blog as soon as possible! La puesta de sol en la viña fue espectacular. 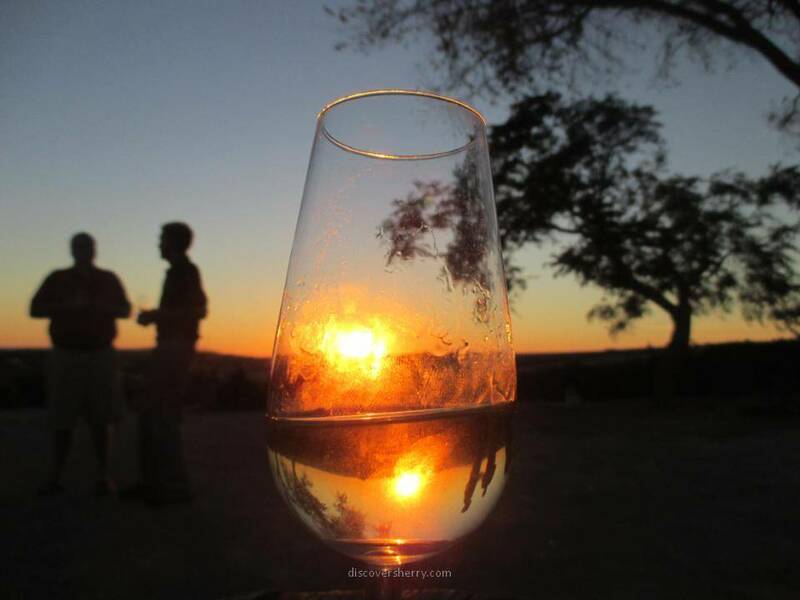 The sunset at the vineyard was spectacular. Fue una tarde perfecta. Gracias a Spirit Sherry y al capataz Busti que nos dirigió. También gracias a todos los Sherry Explorers que trajeron tapas buénisimas para compartir. It was a perfect evening, thanks to Spirit Sherry and the vineyard owner who guided us through the process. Thanks, also, to the Sherry Explorers who brought many delicious tapas to share with their buddies. Os adjuntamos el enlace para que disfrutéis de las fotos y la música que ha elegido Gloria. 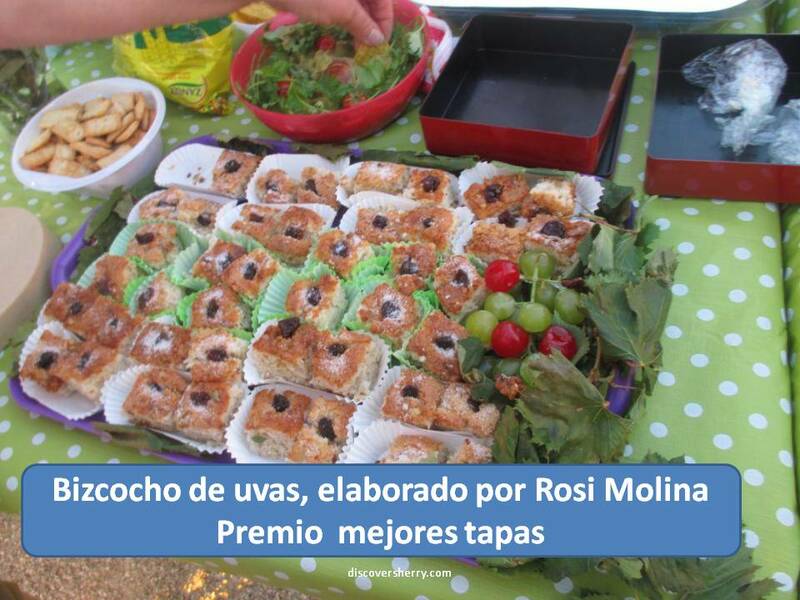 We have attached the link below so that you can enjoy the photos and music specially selected by Gloria. 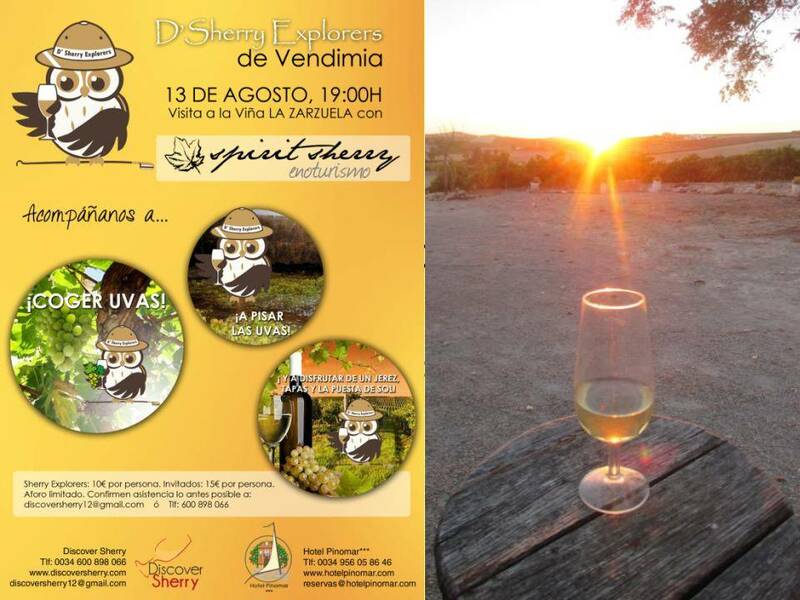 Spirit Sherry – Enoturismo » MAKE WINE NOT WAR!! !